Union Minister for Health and Family Welfare J P Nadda on his recent visit to Kochi has reiterated the fact the Indian healthcare industry continues to attract medical tourists. He further said that the industry is rapidly growing, and is likely to reach 160 billion dollar by 2017. This growth has witnessed contribution from both private and public sectors. 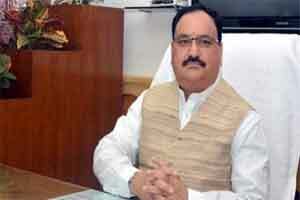 Elaborating further on this exponential growth, Nadda has implied to have said that hospitals have contributed 68 per cent to the healthcare growth. Pharma and medical equipment industry have also made significant investment to help india develop into a global healthcare hub. He further implied that 33 percent of these hospitals are now located in metros and tier 2 cities. This fact clearly indicates that tier 2 and tier 3 cities require more healthcare investment attention. As a result, investment in healthcare infrastructure in hospitals and education will be more. The Minister was speaking at the inaugural function of the first international symposium on hospital medicine in India at Amrita Institute of Medical Science. He also formally inaugurated the ‘Amrita Foetal Care Centre’, the first comprehensive foetal care centre in India, as reported by the Express. AIMS director K V Thomas MP, Dr Prem Nair, Dr Sanjeev K Sing, Dr Bipin Batra, Dr Jamie, Dr S B Gupta, Dr Vidya Menon, Dr Prathapan Nair and Dr Mohan Abraham spoke. Eminent faculty from the United States (Mayo Clinic), Canada, Japan and India are leading the scientific sessions. The medical tourism industry growth story in India continues to gain momentum with the industry expected to reach a size of 6 billion dollars within two years. This branch of healthcare also attracts continuous attention from the central government.